Unintentional leadership, the act of becoming a leader by accident, implies that the leader did not mean to lead—it just happened. He or she did something worthy of following and others followed. One might feel that these individuals are not worthy leaders, especially if their intent was to be on the sidelines or left alone. But this is not completely true. 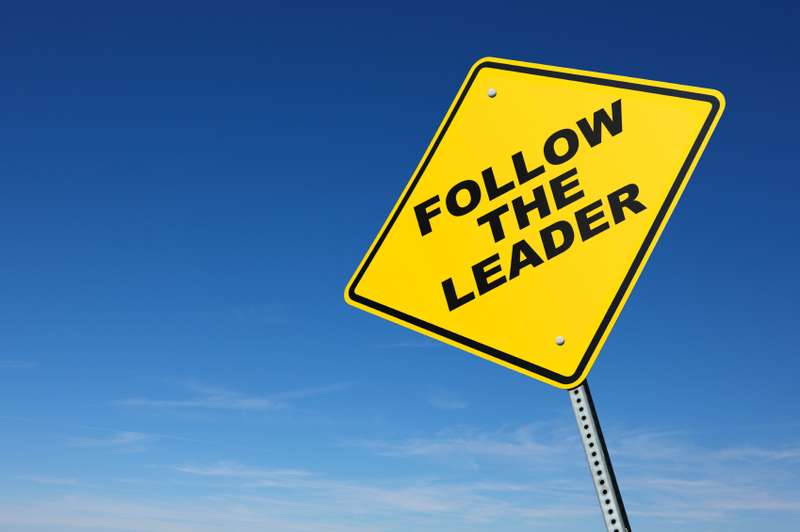 Leadership is a quality that can be embraced or ignored, but rarely does it go unnoticed. Eventually, even the most cautious of unintentional leaders will look back to find a crowd of people walking in his footsteps. He shoos them away, but they return in even greater numbers. These men and women would prefer to blend into the background rather than have others look to them for answers or guidance. This may be because of past mistakes that caused embarrassment, or feeling that they have nothing to offer. I have seen this situation occur in practice when a husband reacted disrespectfully to everything his wife said. When they first married she was vibrant and full of energy, but eventually she began to discount her own worth. When Gwen started to spend time with her, she discovered that this young lady had incredible insight into scripture, and drew out of her a self-confident woman who had an impact on many lives. We must also remember to cultivate an attitude of encouragement with our children. We don’t want them to be pretentious, nor do we desire for them to be afraid to speak or give an opinion on important issues. This is well aligned with Scripture. One of the most difficult aspects of working with other leaders is determining if they have an agenda that is aligned with the topic or issue at hand. A leader with a hidden agenda can be more destructive than no leader at all. Believe me, I have nothing against type-A personalities. In fact, they often make great leaders. But the implication is that if you don’t have a type-A persona, you shouldn’t lead. I have met some very capable non-type A’s that have the ability to rally people that are unruly, or motivate the un-motivatable. That—is a gift. When one has been seen as an authority, the spotlight is not far away. This changes some, while others are able to maintain a proper perspective. God gives us the authority we possess—we didn’t work our way to it or discover it by accident. What we do with it is key to whether we are true leaders, or simply people in charge with a self-edifying plan. Leaders come in all shapes and sizes. Some are quiet and lead only by example, while others are loud and in-your-face. You are thinking of two people right now that fit those descriptions—it’s that easy. But here’s the important part—if God calls you to lead, then you must. If your reluctance to do so is based upon feeling unworthy or incapable, that is not admirable. False humility has no place in God’s work—real humility, however is essential. In fact—it’s a requirement. If you get the feeling you’re being followed, turn around and look. If there are people tracing your footsteps, don’t shoo them away—ask them what you can do to help them. Now that is scriptural. Question: Have you been in a position of leadership you didn’t want or ask for? Please tell about it below.